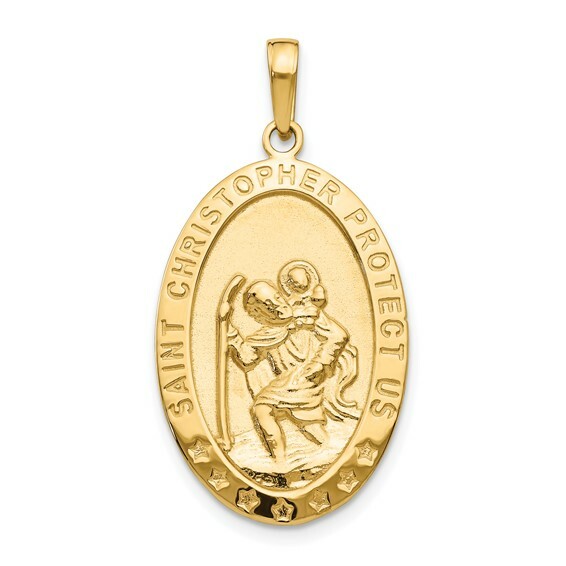 Die struck, oval St Christopher medal pendant is made of polished 14kt yellow gold. Item is 11/16 inch wide by 1 inch tall without loop and bail. Weight: 4.11 grams. Flat polished back is suitable for engraving. Made in the USA.